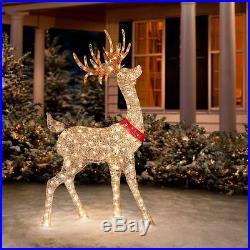 Shimmering with sequins and golden glitter, this Buck stands an impressive 60 high, and wears a red collar with jingle bells. 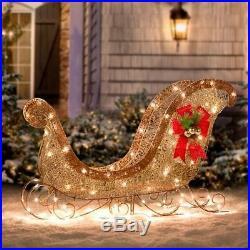 The buck has 200 clear lights. 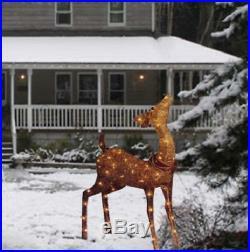 The lighted reindeer Christmas decor are made with coated metal frames with champagne thread and glitter and are weather resistant for outdoor use. 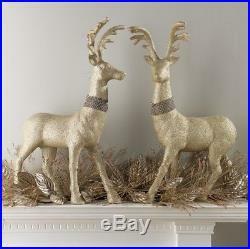 Stakes are included to help secure the reindeer decor to the ground. 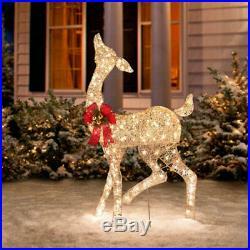 The glittering buck is a gorgeous way to display the family spirit of Christmas. 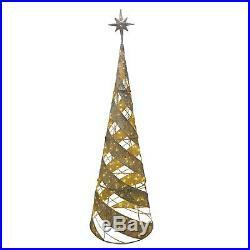 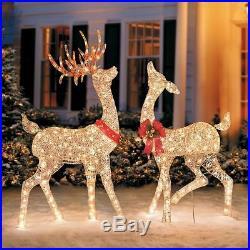 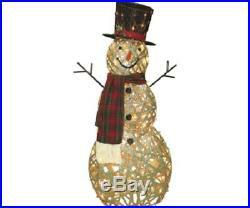 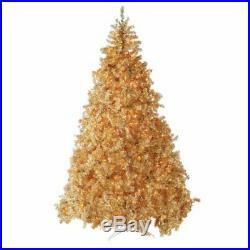 The outdoor Christmas reindeer decorations shimmer with sequins and golden glitter. 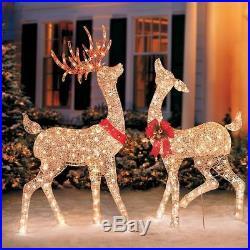 The lighted reindeer are weather resistant but suitable for indoor or outdoor use.